By focusing on the investor perspective, Trend Following with Managed Futures is a groundbreaking and invaluable resource for anyone interested in modern systematic trend following. ALEX GREYSERMAN, PHD, is Chief Scientist at ISAM and serves as Adjunct Professor in the Graduate Program in Mathematical Finance at Columbia University. KATHRYN M. KAMINSKI, PHD, is the Deputy Managing Director of the Institute for Financial Research (SIFR), external market commentator for the CME Group, and affiliated faculty at the Stockholm School of Economics. The authors have raised the standard for discussion concerning trend following. The hedge fund industry should take note, and all strategies should be given the same level of attention and detailed review. 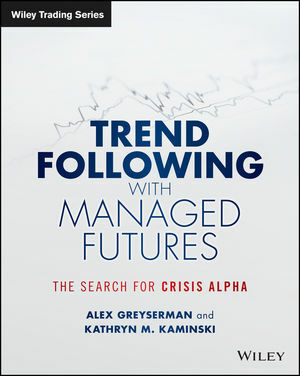 For investors who are contemplating a trend-following managed futures investment, this book should be the first place to go in getting up to speed.